There are many considerations when choosing the venue for your Jewish Wedding. Hopefully the checklist below will be useful in helping you to choose the right Jewish Wedding Venue. It is not just a case of reputation and what it looks like on the outside and status. There are also practical issues to consider. The good news is there are huge variety of venues on offer from hotels, country homes, halls and synagogues. The venue may also predefine the wedding date due to availability. A venue may determine what caterer you use as it may have agreements with one or more Jewish Wedding Caterer. You will also need to check that it has Kosher Catering facilities if applicable. Some of the Jewish Wedding bands are quite a few members strong and often stages can actually be too small for your chosen band, so do check the size of the stage that they provide. 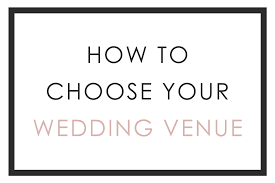 The venue will determine your invite numbers – it goes without saying to understand how many people are being invited before deciding on a venue. View a few different venues so that it gives you a good understanding of what each venue has to offer. Parking for guests needs to be considered. If it is in Central London will guests be able to park nearby and what will the costs be. Does your venue offer valet parking? As part of your negotiations with the hotel, if applicable, secure a good rate for guests staying overnight and check out the bridal suite in advance. Make sure this is part of the package without charge. Check availability of the venue before you attend to see if it fits within your required date(s). Make provisional bookings on a few venues that you like which then offers you flexibility and gives you time to consider the right decision for you. When you are visiting a venue make sure you have a personal contact who is very accommodating and provides you with all the help, advice and support you need. It is essential that nearer the time of your Jewish Wedding and on the actual day that your venue are very accommodating and helpful to all your needs. Check the appearance of the venue both on the outside and inside, including the toilets! Remember these will be used by your guests. If you are having a reception outside do not rely on the weather. What provision do the venue have for bad weather? Consider the lighting at the venue and whether this is adequate. Many Jewish Weddings now use bespoke Jewish Wedding Lighting.